The Denver Urban Semester is a reflective, visionary leadership development program. Offered through Northwestern College, it provides a cross-cultural experience in the heart of the city, giving you the opportunity to develop a mature understanding of God's unique vocational direction for your life. During your semester in Denver, you'll spend 28 to 36 hours per week at an internship, take 2 to 3 classes, and live in community. You'll also learn about community development, careers in nonprofits, and how to serve and empower the poor. The Denver Urban Semester is offered during the fall and spring semesters. Denver Urban Semester students live, work and study in a city that sits at the base of the Rocky Mountains and provides multiple urban and outdoor opportunities. 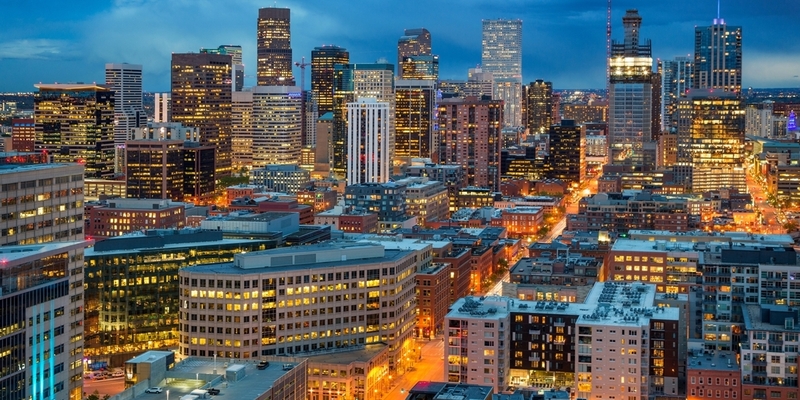 Denver is known as the Mile High City because of its elevation above sea level. More than 2.8 million people reside in the Denver metro area, which is host to 7 professional sports teams, museums, concerts, amusement parks and a zoo. You'll be immersed in numerous cultural activities and within walking distance of restaurants, coffee shops, parks and community festivals that provide diversity and a multicultural experiences. Founded in 2007, the Denver Urban Semester partners with more than 50 schools, nonprofits, government agencies and faith-based organizations in Denver that focus on at-risk and low-income communities and underserved multicultural populations. Greg has a master’s degree from Denver Seminary and has served as the site director for the Denver Urban Semester for more than 10 years. He formerly was a student development leader for 15 years while working as a youth pastor, Young Life director, high school chaplain and vocational coach. An avid hiker and tennis player, Greg enjoys attending city neighborhood festivals and spending time and traveling with his three adult sons. Beth has an undergraduate degree from the University of Puget Sound and a master’s degree in instruction and curriculum with an emphasis in reading from the University of Colorado. She taught high school in Japan, as well as first and second grade. Most recently she was the program director for Book Trust, a national literacy nonprofit. In her spare time, she enjoys playing tennis, hiking and skiing with her family in Colorado, and traveling the world. Penny directed the transitional housing program, Joshua Station, and now oversees and trains social work interns not only for the Denver Urban Semester, but also for the schools of social work at the University of Denver and the University of Colorado Denver. Jeff is a doctoral candidate in religion at the University of Denver. He has a master’s degree in theological studies (theology and culture) from Regent College in Vancouver, B.C. He enjoys working with students, building them up into healthy and resilient Kingdom practitioners who live wisely within a constantly shifting cultural landscape. Kyra has worked in student development as both a resident assistant and assistant resident director at Wheaton College in Illinois, where she earned a bachelor’s degree in communication and a minor in Christian education. Her favorite part of working in student development is building long-lasting relationships with students and the people she works with from places all over the world. As part of the Denver Urban Semester, you’ll live in community, learning alongside other students in the program. Housing is in the Capitol Hill neighborhood, located in the heart of downtown Denver. The program is also able to accommodate married couples. You'll be responsible for purchasing your own food and preparing your own meals. The Denver Urban Semester covers the cost of transportation to your internship site. You'll receive a monthly RTD bus and light rail card for use during the semester. If you fly to Denver, you can take the A line from the Denver International Airport (DIA) into Denver, and we'll provide a shuttle from the light rail station to your Denver Urban Semester housing. If you choose to drive, be aware there are only five parking spots for both Denver Urban Semester houses. City street parking is also available. Program participants are encouraged to use RTD to travel to one's internship and while engaging with and living in downtown Denver. Denver is a city of 77 neighborhoods that sits at the base of the Rocky Mountains and provides multiple urban and outdoor opportunities. You’ll be immersed in numerous cultural activities and within walking distance of restaurants, coffee shops, parks and community festivals that provide diversity and a multicultural experience. Denver Urban Semester students are provided with $200 for the semester for weekly cross-cultural engagement events. For Northwestern students, the program fee for the Denver Urban Semester is the same as Northwestern's tuition and housing costs for a semester (excluding the cost of the college's meal plan). Program costs for students from other schools may differ, depending on the institution's policies. Contact your global education or off-campus studies program office for more information. Included in what you pay for the Denver Urban Semester is tuition for 12 to 16 credits (course work and internships), housing, and program travel and events. While in Denver, you will be expected to pay for your food (approximately $250 per month) and entertainment. All applicable Northwestern College financial aid applies for Northwestern College students. Contact the Northwestern's financial aid office for more information. Non-Northwestern College students should contact their own college’s financial aid office to find out if financial aid can apply toward the Denver Urban Semester. Northwestern's Denver Urban Semester is open to students at any college or university who have completed two semesters of college work and achieved a minimum GPA of 2.5. Non-NWC students must fill out a guest application to Northwestern and be accepted before applying to the Denver Urban Semester program. Applications won't be considered complete until ALL sections of the online application are completed and all other required documents and reference/recommendation letters are submitted. You should review your answers carefully to ensure the accuracy of your application. You can't edit your application once it is submitted.